Countless cycles control the ebb and flow of our lives, from the tiny biochemical action/ reactions of our bodies to the expansive cycles of the astronomical world. Some are easier to see than others, like the weather cycle around us- we can smell the rich, earthiness of approaching rain, and it's hard not to sense a sky full of heavy clouds that are spawning lightning and thunder around you. But most cycles that we rely on exist outside the scale of our human perception. We can only see and study them with the help of our lovely optical friends- the microscopes, telescopes & cameras that expand and share our vision. I got inspired to check out my Methylation Cycle after hearing Dave Asprey & Chris Kresser talk about it in the Bulletproof Executive's Podcast #22: Beyond the Paleo. 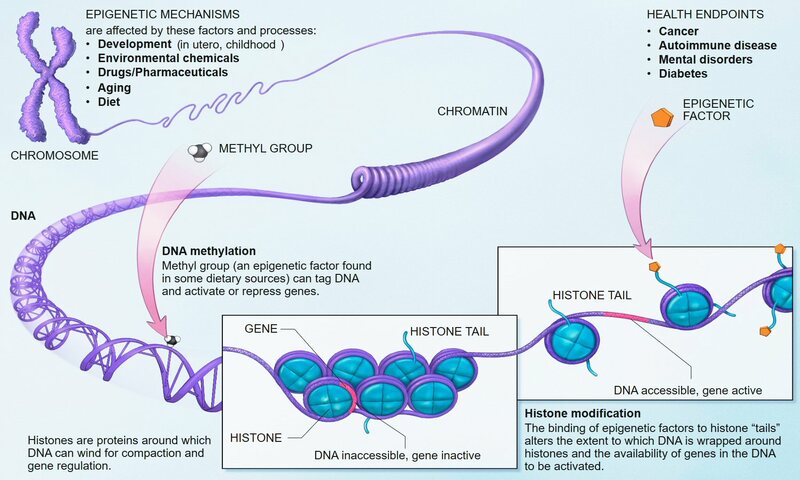 Why I'm excited about Epigenetics, Nutrigenomics and the Methylation Cycle. Disease resistance to: Cancer, Diabetes, Cardiovascular Disease, Autism, Chronic Fatigue, Alzheimers, Irritable Bowel Syndrome, etc. If there are no epigenetic mutations & variations blocking this cycle- we get to enjoy being energetic, intelligent, happy, disease resisting humans with great brains & bodies to experience life in. But for most of us modern humans, myself included, we aren't living up to our genetic potential. These cruel little mutations put kinks in our biochemical processes, but thanks to health scientists like Dr. Amy Yasko and the researchers at the Center of Excellence for Nutritional Genomics (CENG) at UC Davis, who are pioneering the new genetic fields of epigenetics and nutrigenomics, we are learning how to be healthier from the genes up. 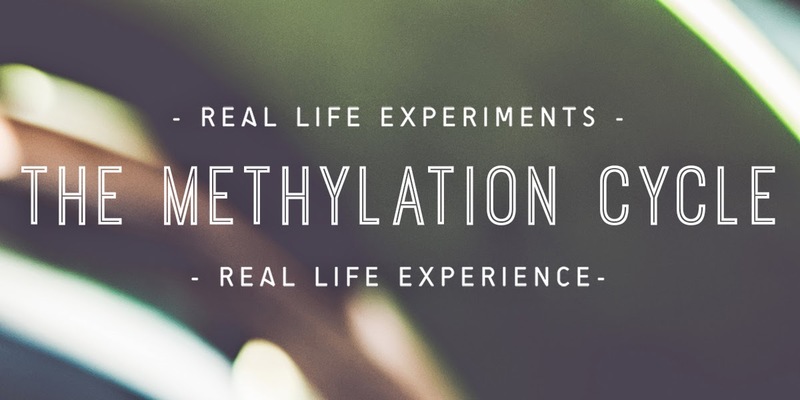 How I'm analyzing & optimizing the Methylation Cycle in my body. I'd like to have more energy, feel more consistently happy, and I want to live a long healthy life, free of cancer & disease. So, now that I know DNA is methylating away 1 billion times every second in my body, I am going to do the best research & experimentation I can to figure out how to help optimize my cycle. And thanks to 23andme.com, Joshua and I both have our raw genetic data in a convenient little 23mb .txt file. Here's my process for optimizing my body's methylation cycles:I recently learned I can run this data through GeneticGenie.com (free, with an optional donation) and learn the specific variations & mutations in my Methylation Cycle. They look at the SNPs (pronounced "snips"- single nucleotide polymorphism) in our DNA. Everyone has the same 23 chromosomes in our DNA, but our specific set of SNPs are what make each of us truly unique- from the patterns in our irises, to our fingerprints, and are the blueprints for our individual health. As Socrates advised: temet nosce- know thyself. I'm going give this an epigenetic update- know thy SNPs. 1. Educating myself and researching areas of health where I think I need improvement by watching podcasts, reading articles and studies, and taking advantage of the vast amount of recent research/ information on the web that is given from a variety of sources which are scientifically reliable and are not merely limited by pharmaceutical lobbying and profit potential. 2. Developing critical self awareness- trying to minimize the possibility of placebo effect & power of persuasion (i.e. certified organic doesn't automatically make something a healthy nutrition choice for me- such as organic tomatoes, which hurt my stomach). 3. If I feel I've found enough evidence to make a health change- I do so by making small, incremental changes, and being cognizant of how I feel & perform over an experimental time period (usually a couple of weeks). These are great resources for where to begin, and are not meant to replace your visit to the doctor. I use this knowledge as a starting point for my research into optimizing my health. If I had a major concern that I wanted to have tested out or get medical advice about, I would take these specific results along with me to the doctor, preferably one educated in functional medicine and a more holistic approach to assessing health based on body systems, rather than merely prescribing a band-aid fix to a set of symptoms. 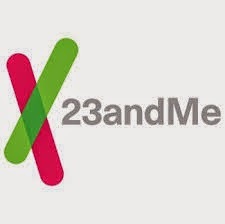 23andme.com - ($99) Joshua and I have used this company to sequence our DNA, and were both fortunate enough to do so before the FDA shut down their ability to offer health analysis on our genetic data until they finish establishing health regulations for this new field. Considering that the FDA says it's safe for kids to consume products like Cheese Wiz and Velveeta, but not safe for artisan cheese-makers to continue centuries of tradition in curing aged cheeses on wooden boards, I'm not surprised. TrueHealthLabs.com - ($169-749) This site is recommended by Genetic Genie, and offers a variety of personal lab testing, including genetic tests. It is more expensive than 23andme's $99 test, but seems to be more specifically related to testing for things like celiacs disease, heart disease and AS. Personalabs.com- Another alternative to getting labs through a physician, this site offers a variety of specific tests for men's health, women's health, allergies, disease risk, hormone balance, and more. Read this first: Genetic Genie's Article: Think Supporting Methylation is an Alternative Health Fad? Dr. Amy Yasko's Website: One of the top physicians pioneering the field of Nutrigenomics. She focuses her work around the Methylation cycle, and has used it to help create nutritional workarounds for people with autism, irritable bowel syndrome and other illnesses by looking at the mutational deficiencies in their methylation cycle. Thanks for reading, and I will be following this up with Part II, and going into more detail about what foods & supplements we can take to biohack our methylation cycle, and my experience with the ones I decide to take.